In this acclaimed book, the author of the Newbery Honor Book To Be a Slave shares his own story as he explores what makes each of us special. Karen Barbour's dramatic, vibrant paintings speak to the heart of Lester's unique vision, truly a celebration of all of us. "This stunning picture book introduces race as just one of many chapters in a person's story" (School Library Journal). 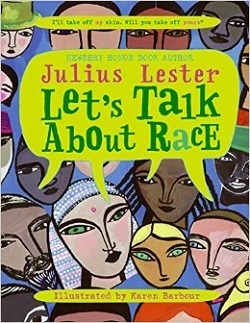 "Lester's poignant picture book helps children learn, grow, discuss, and begin to create a future that resolves differences" (Children's Literature).